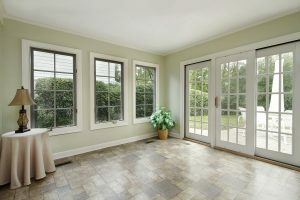 Make a lasting impression with your new windows! We have looked long and hard for the best replacement windows available, and we’re proud to say that we’ve found them. Our premium Sherwood windows combine the best features of vinyl window products with the attractiveness of real hardwood. The exterior is vinyl, which is virtually maintenance free and is a better insulator than many other window frame materials. The interior, however, is real hardwood that can be stained or painted to reflect your decorating tastes, meaning you get a window that will stand up to our tough Wisconsin weather without sacrificing beauty. At Frey Construction, we are certified installers of every product we sell, so you can trust that your new replacement windows will be installed properly when you hire us for your remodeling project. We will do everything we can to ensure you’re tickled pink with the end result. So contact us today, and give us a chance to help you improve the look and efficiency of your home in Madison, Fitchburg, or any surrounding community in WI.